Entertainer Judy Garland was both one of the greatest and one of the most tragic figures in American show business. The daughter of a pushy stage mother, Garland and her sisters were forced into a vaudeville act called the Gumm Sisters (her real name), which appeared in movie shorts and at the 1933 Chicago World's Fair. It was clear from the outset that Judy was the star of the act, and, as such, was signed by MGM as a solo performer in 1936. The studio adored Garland's adult-sounding singing but was concerned about her puffy facial features and her curvature of the spine. MGM decided to test both Garland and another teenage contractee, Deanna Durbin, in a musical "swing vs. the classics" short subject entitled Every Sunday (1936). The studio had planned to keep Durbin and drop Garland, but, through a corporate error, the opposite took place. Nevertheless, MGM decided to allow Garland her feature film debut in another studio's production, just in case the positive audience response to Every Sunday was a fluke. Loaned to 20th Century Fox, Garland was ninth-billed in Pigskin Parade (1936), but stole the show with her robust renditions of "Balboa" and "Texas Tornado." Garland returned to MGM in triumph and was given better opportunities to show her stuff: the "Dear Mr. Gable" number in Broadway Melody of 1938, "Zing Went the Strings of My Heart" in Listen, Darling (1938), and so on. When MGM planned to star 20th Century Fox's Shirley Temple in The Wizard of Oz, Garland almost didn't get her most celebrated role, but the deal fell through and she was cast as Dorothy. But even after this, the actress nearly lost her definitive screen moment when the studio decided to cut the song "Over the Rainbow," although finally kept the number after it tested well in previews. 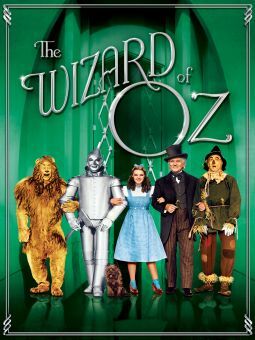 The Wizard of Oz made Garland a star, but MGM couldn't see beyond the little-girl image and insisted upon casting her in "Hey, kids, let's put on a show" roles opposite Mickey Rooney (a life-long friend). 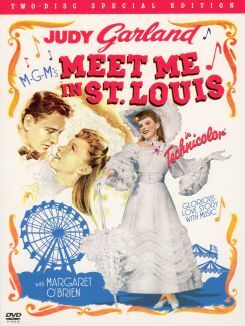 Garland proved to the world that she was a grown-up by marrying composer David Rose in 1941, after which MGM began giving her adult roles in such films as For Me and My Gal (1942) -- although still her most successful film of the early '40s was in another blushing-teen part in Meet Me in St. Louis (1944). Once very popular on the set due to her infectious high spirits, in the mid-'40s Garland became moody and irritable, as well as undependable insofar as showing up on time and being prepared. The problem was an increasing dependency upon barbiturates, an addiction allegedly inaugurated in the 1930s when the studio had Garland "pepped up" with prescription pills so that she could work longer hours. Garland also began drinking heavily, and her marriage was deteriorating. In 1945, she married director Vincente Minnelli, with whom she had a daughter, Liza, in 1946. By 1948, Garland's mood swings and suicidal tendencies were getting the better of her, and, in 1950, she had to quit the musical Annie Get Your Gun. That same year, she barely got through Summer Stock, her health problems painfully evident upon viewing the film. Before 1950 was half over, Garland attempted suicide, and, after recovering, was fired by MGM. Garland and Vincente Minnelli divorced in 1951, whereupon she married producer Sid Luft, who took over management of his wife's career and choreographed Garland's triumphant comeback at the London Palladium, a success surpassed by her 1951 appearance at New York's Palace Theatre. Luft strong-armed Warner Bros. to bankroll A Star Is Born (1954), providing Garland with her first film role in four years. It was Garland's best film to date, earned her an Oscar nomination for Best Actress, and allowed her a wealth of songs to sing and a full range of emotions to play. Riding high once more, Garland was later reduced to the depths of depression when she lost the Oscar to Grace Kelly. 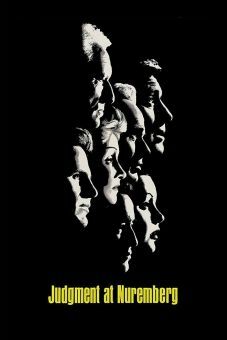 Her subsequent live appearances were wildly inconsistent, and her film performances ranged from excellent (Judgment at Nuremberg ) to appallingly undisciplined (A Child Is Waiting ). Her third marriage on the rocks, Garland nonetheless pulled herself together for an unforgettable 1961 appearance at Carnegie Hall, which led indirectly to her 1963 weekly CBS series, The Judy Garland Show. As with most of the significant moments in Garland's life, much contradictory information has emerged regarding the program and her behavior therein; the end result, however, was its cancellation after one year, due less to the inconsistent quality of the series (it began poorly, but finished big with several "concert" episodes) as to the competition of NBC's Bonanza. Garland's marriage to Sid Luft, which produced her daughter Lorna, ended in divorce in 1965, and, from there on, Garland's life and career made a rapid downslide. She made a comeback attempt in London in 1968, but audiences ranged from enthusiastic to indifferent -- as did her performances. A 1969 marriage to discotheque manager Mickey Deems did neither party any good, nor did a three-week engagement at a London nightclub, during which Garland was booed off the stage. 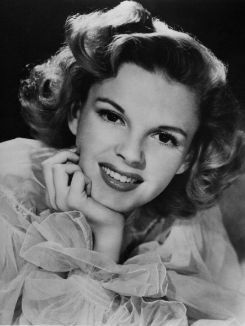 On June 22, 1969, Judy Garland was found dead in her London apartment, the victim of an ostensibly accidental overdose of barbiturates. Despite (or perhaps because of) the deprivations of her private life, Garland has remained a show business legend. As to her untimely demise, Ray Bolger summed it up best in his oft-quoted epitaph: "Judy didn't die. She just wore out." As a girl, appeared in vaudeville act the Gumm Sisters with her siblings (they later changed their name to the Garland Sisters). Billed as Judy Garland, she signed with MGM in 1935. Paired with Mickey Rooney in 1937's Thoroughbreds Don't Cry for the first of their 10 films together. Breakthrough song was "You Made Me Love You," sung to a photo of Clark Gable in The Broadway Melody of 1938. Made a legendary Carnegie Hall debut in 1961; Judy at Carnegie Hall, the live album of the event, won five Grammys, including Album of the Year, the first for a female artist and first for a live album. Hosted The Judy Garland Show on CBS in 1963-64. Final performance took place a week before her death (from an accidental overdose of barbiturates in her London flat) at the Half Note in New York's Greenwich Village. In 2001, her rendition of "Over the Rainbow" was named the Greatest Song of the 20th Century in a poll commissioned by the National Endowment for the Arts and the Recording Industry Association of America.